Martin Warner has 35 years experience in Travel Distribution, is Principal at MW Travel Consultancy Limited providing advisory services to the travel and associated industries. He is a Founding Partner of KuriusSolutions with Martin Cowley, a global business that develops ideas and provides to solutions to opportunities to travel and related industries. Formerly Executive Vice President, Market Strategy & Segmentation at Carlson Wagonlit Travel (CWT) a global leader specializing in business travel management, responsible for devising and implementing the Marketing Strategy of the business including Corporate Travel, focused on creating value based travel management solutions for corporate customers. 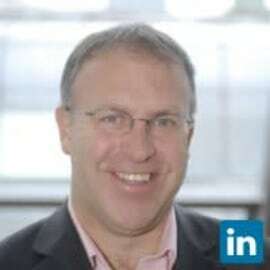 From 2008 to 2011 Martin was COO, Asia Pacific at CWT with responsibility for all Asia Pacific Operations of the business. He served as a member of CWT's Executive Team for 10 years, reporting to Group CEO. He served in non-Executive board positions in the companies Jt-Ventures in China, Japan, India, Indonesia & South Africa, and Executive board member of subsidiaries in Australia, New Zealand, Singapore and Hong Kong. From 2003 he served as EVP, Global Account Solutions at CWT responsible for the companies top 100 multinational client business, a US$4Bn top line business unit. Martin is based in London and Miami, spending time with clients in markets around the world. His recent engagements include – WEX, Travelport, ATPI, CAPA, Majid al Futtaim, Abacus, ComBTAS. In addition to his strategic advisory work, he is a much sought after facilitator, moderator and speaker.